As a fan of Malcolm Gladwell’s other two books Outliers (my favourite!) 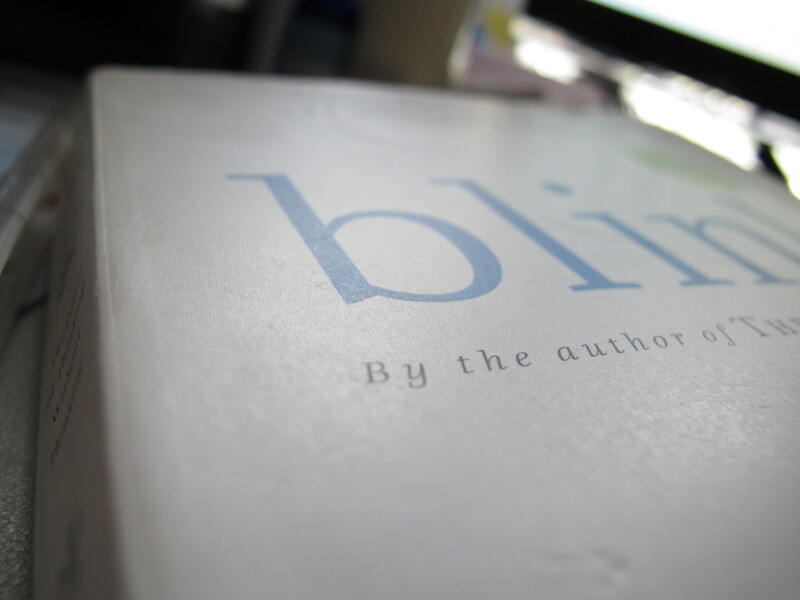 and Tipping Point, I jumped at the chance to read Blink when I found it at the local library. It did not disappoint. I’ve often wondered how we separate a genuine gut feeling which forewarns us about danger and the less desirable fear-based stomach churn that stops us from moving forward. Both emanate from our unconscious and can easily be mistaken for each other. Our unconscious decision making process is incredibly powerful, one that can make split second decisions and often requiring very little data. In fact, as the book goes to show, the unconscious makes better decisions given less information. That’s a bit hard to swallow at first but indeed, it seems to be the case that more information can introduce biases into our decision making process. One of the most interesting examples in the book is about orchestra selection process and how introducing a curtain into the audition increased the selection of women especially those playing instruments that are traditionally thought of as “masculine”. The maestros conducting the selection would probably baulk at being thought of as sexist but the facts tell a different story. We may think we are rational and objective but we are subject to biases that we may not even be aware of. Some years ago I was involved in a traffic accident which had to be settled in court. Much to my disbelief, the magistrate completely dismissed my testimony. In his words, my witness and I were “too articulate and therefore must have planned our testimony”. As my first experience of the justice system, I can only describe it as horrifying and appalling. I left thinking I’d hate to have been accused of a serious crime if this was how justice was conducted! For anyone wondering, no, we didn’t have an interpreter, nor did the magistrate feel the need to request one. Apparently, it wasn’t required. The interesting thing is, the other driver didn’t have any trouble screaming and yelling in English at the accident. As a migrant and of Asian origin, I find it ironic that I was discriminated against for being articulate! The book concludes that if we are aware of possible biases, there are ways to remove them, sometimes with something as simple as introducing a screen in an audition, and perhaps in the case of the courts, having accused parties not be physically present. I find this topic fascinating and the book an excellent read. Highly recommended! Hope you enjoy it, Peggy. Let me know what you think when you’ve had a chance to read it. I cannot call myself a HUGE fan but I have read his Outliners and I really liked it. Malcolm Gladwell is a creative and talented writer & he does draw some rather creative conclusions, and there is plenty of interesting information and food for thought. In the book gives many examples about how people have become successful in their life.